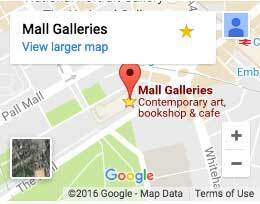 These terms and conditions apply to the sale of all Gift Vouchers online between Mall Galleries Trading Ltd. (trading as Mall Galleries) whose principal place of business is at Mall Galleries, 17 Carlton House Terrace, London SW1Y 5BD, United Kingdom (“we” / “us” / “our”) and any visitors (“you”) to our website at www.mallgalleries.org.uk (the “Site”). For all pre- and post-sale enquiries, please contact admin@mallgalleries.com or telephone 020 7930 6844 during office hours. No contract shall exist between you and us for the sale of any Gift Vouchers until we accept your order after payment online and we confirm receipt and acceptance of the order. You may choose to pay by credit / debit card or by PayPal. We will take all reasonable precautions to keep the details of your order and payment secure by using a third party payment provider whom we believe uses industry standard Secure Sockets Layer (SSL) encryption technology, making our pages secure. Accordingly, unless we are negligent, we cannot be held liable for any losses caused as a result of unauthorised access to your information, either on our site or on our payment provider’s site. The price of the Gift Vouchers is payable in full at the point of sale on the Buy Art | Buy Now pages of the Site. Receipts for payment will be sent by email after payment for any Gift Vouchers made online from the Site. Gift Vouchers may only be redeemed on the Buy Art | Buy Now pages of the Site. Gift Vouchers cannot be exchanged for cash and no change is given. If an artwork costs less than the value of the Gift Voucher, the remainder can be used for a future purchase on Buy Art | Buy Now. If a purchase exceeds the redeemer's Gift Voucher balance, the remaining amount must be paid for using another payment method. The risk of loss and title for Gift Vouchers pass to the purchaser upon our electronic transmission of the Gift Voucher to the purchaser or designated recipient, whichever is applicable. We are not responsible if any Gift Voucher is lost, stolen, destroyed or used without your permission. We will have the right to close customer accounts and take payment from alternative forms of payment if a fraudulently obtained Gift Voucher is redeemed and/or used to obtain art commissions. In addition to these terms and conditions, the terms and conditions for online purchases from the Site apply.